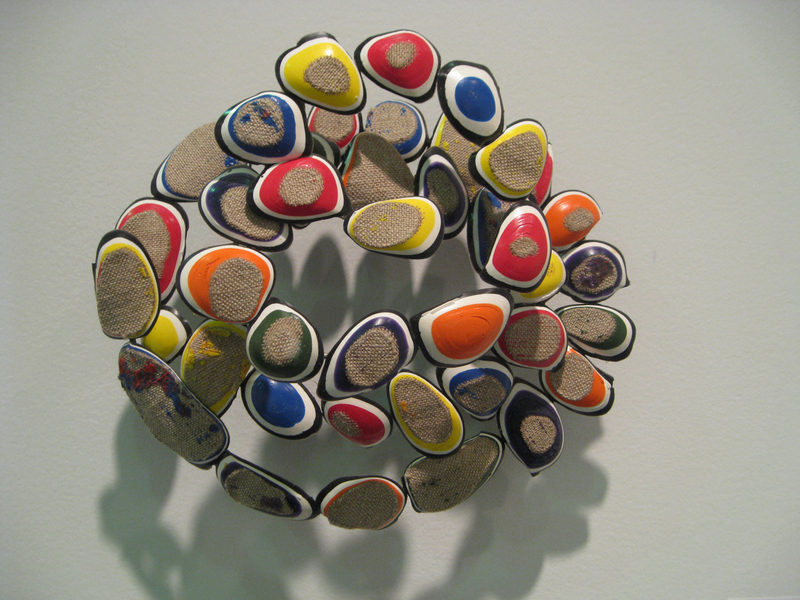 NEW YORK—The Armory Show is devoted to both contemporary and modern art. Adjacent to the main show, Pier 92 featured fine examples of 20th century art exhibited by galleries from around the world. This year, Marlborough Gallery‘s booth was front and center as visitors entered the modern show and its finely curated installation of works by Manolo Valdes attracted a lot of attention. 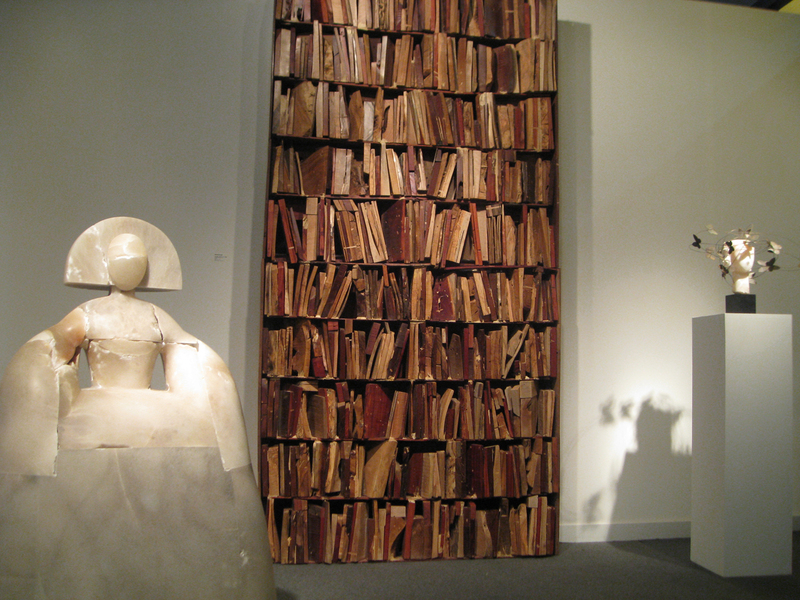 Above, From left, “Menina,” 2011 (alabaster); “Bookcase,” 2011 (wood); and “Head VI,” 2011 (bronze and iron) all three by Manolo Valdes at Marlborough Gallery; Top of page, “Mariposas III,” 2011 (bronze, ed. 2/9) by Manolo Valdes at Marlborough Gallery New York. 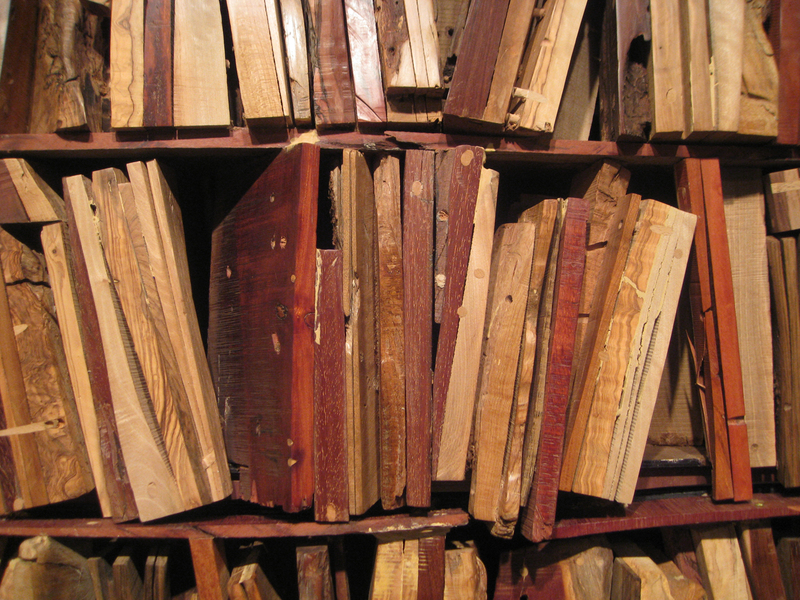 Detail of “Bookcase,” 2011 (wood) by Manolo Valdes. “Refrigerator,” 2002 (fiberglass, edition of 6) by Allen Jones at Wetterling Gallery. “Les yeux de Paul Klee 42 ans,” 2011 (acrylic on canvas) Xavier Escriba at Oriol Galeria d’Art. 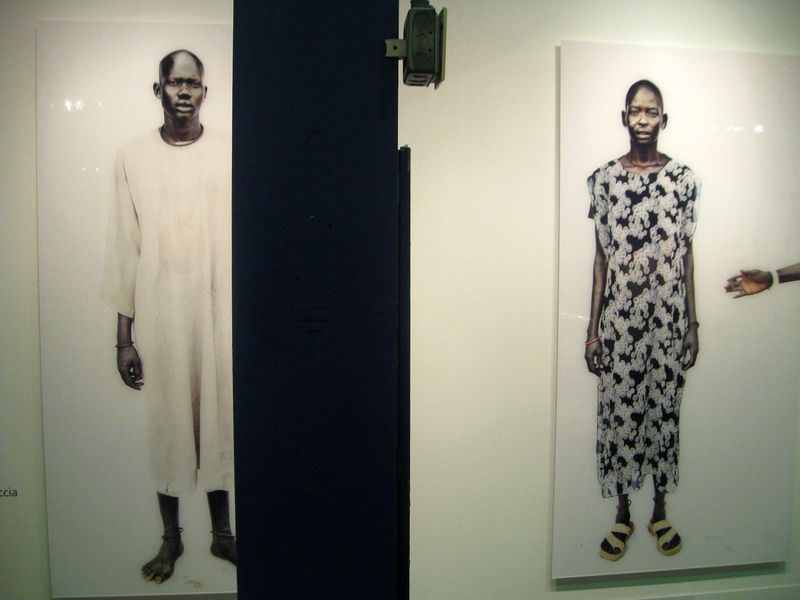 Two portraits of Dinka herdsmen in Virol in South Sudan, 2011 (both type C-print surface mounted, edition 1/10) by Tim Freccia at Ricco/Mareska. 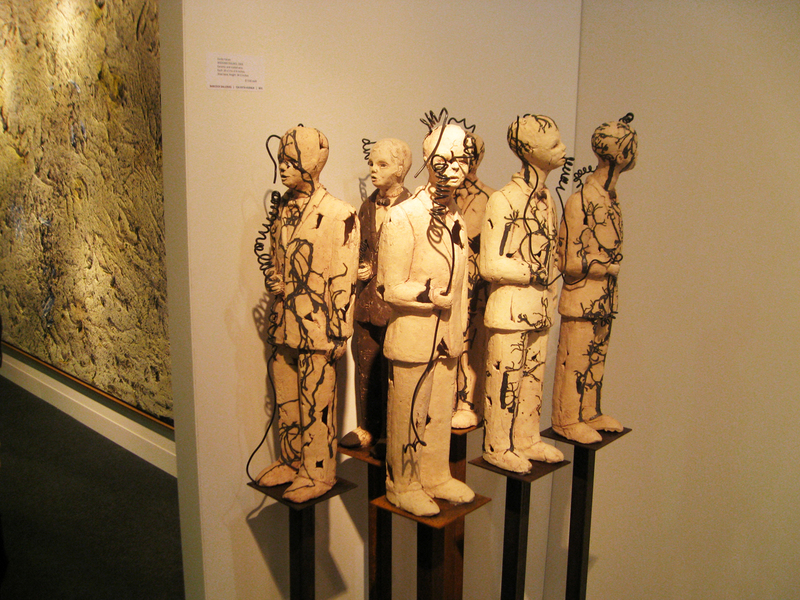 “Wedding Figures,” 2003 (ceramic and coated wire) by Varda Yatom at Babcock Galleries.